I started reading this book because of the popularity this one got. I mean some people even said this was better than Harry Potter. Thus, I had a lot of expectations from this book. But after having finished it today I’m not sure how I feel about this book. The story is not Harry Potter best but it is interesting. 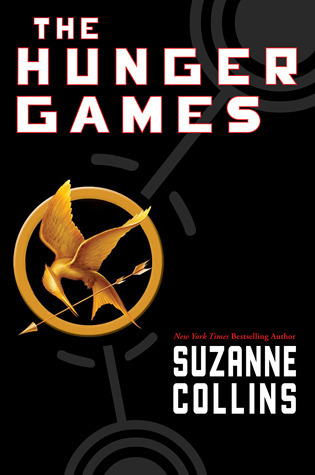 Katniss, the protagonist, is shown too much in the positive light except for in the last 50 pages. She hunts for the whole family, takes up the role of the breadwinner, and then she sacrifices herself for her sister, fights till the end, just too much heroic. Also I think the beginning lags a bit before the actual hunger games begin. Peeta, on the other hand, is the love struck boy who risks everything to save the girl he loves. Other characters such as that of Prim, Katniss’s mother, Gale would have been better if there was a bit more detailing and some stories relating them. But I guess that might be the central theme of the next book. The plot is nice and I do like the post Armageddon scene with one group ruling over the entire land and controlling the people as they wish (not much different than our own world).I somehow feel this book is unfinished. Having read many open-ended stories, I do realize that ambiguity of the end is inevitable in such stories but to me this book had the concept, the plot, the characters but in some way it didn’t make it. This book had the potential in its plot to bring something fresh to the table but it misses its shot. Nevertheless, I will read the next one in this series, and I seriously do hope that it is going to be better than this one. I have to say I disagree about the 'not fininished' feeling over all. There were a few parts that were left hanging, though, but that lets people imagine what happens. I really liked the Hunger Games. Out of the whole trilogy I think it's the best book. I wish Gale was involved more throughout the whole series, though. I think he could of made it as a main character. Saw your message on GR..! Just saw your message ! Aww I LOVE the Hunger Games trilogy!!!! Though everyone is entitled to their own opinions. I can't help but wonder if I would have felt differently about it if I'd read it after it got so crazy popular, not before. I tend to be a bit more critical and harsh toward books that are blowing up the media. Great review, though. I like reading negative reviews even if I don't agree with them, as they tend to be more honest and less gushy than positive, 5-star reviews.